Jenny Foley is the managing partner of our Las Vegas, NV office. 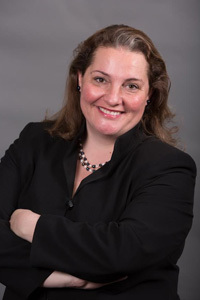 Dr. Foley graduated from Penn State with her Bachelor’s in 2000, the William S. Boyd School of Law in 2004 and obtained her Doctorate from Euclid University in 2012. An experienced litigator, with extensive trial experience, Dr. Foley focuses on representation of employees and plaintiffs in employment discrimination and other employment related matters. Prior to joining the firm, she worked in insurance defense and spent eight years in the U.S. Army where she taught chemical and biological warfare. Her hobbies now are not as dangerous; she enjoys writing all kinds of fiction, travel, sailing and visiting historic homes. She speaks German fluently and speaks some Spanish, Arabic and Romansh.